We were visiting my boyfriend's relatives and we had lots of fun playing video games with the little twin cousins. After some hours of controller smashing, my eyes really needed a break. 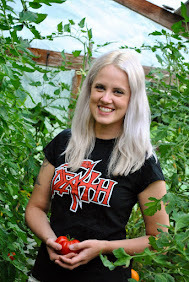 So I took a stroll outside in their beautiful garden and aunt Eve asked me if I wanted to pick some raspberries for ourselves. Don't mind if I do! So I picked a load of fresh berries. We snacked them on our way home and then we made a smoothie with them and now the berries are in these soft delicious muffins. Since raspberries tend to be pretty soury, I added a little bit more sugar. This time I used unrefined light brown soft sugar. The soft sugar had an amazing smell and it was great in this muffin batter. If you don't have this kind of sugar, any other unrefined sugar will do too. 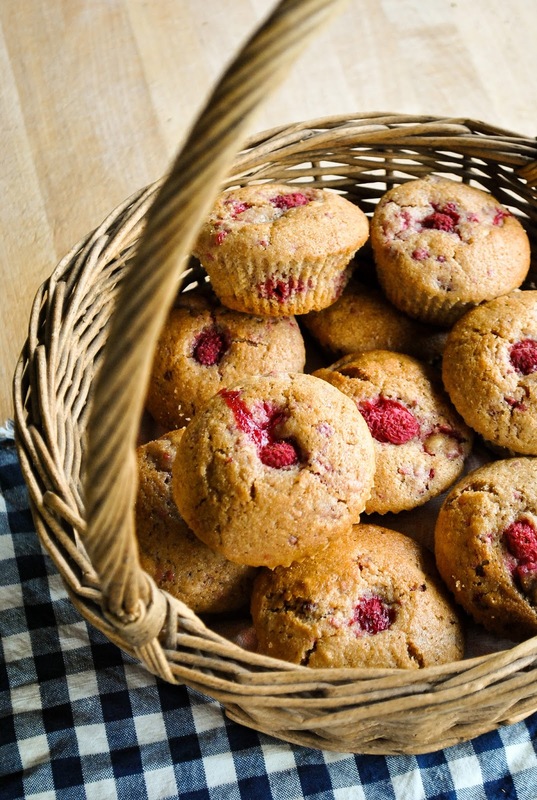 These muffins are so light, summery and full of ripe berries. They are just perfectly sweet. But if you like it even sweeter, don't be afraid to sprinkle some powdered sugar on top. Happy munching! Preheat the oven to 400 F / 200 C. Mix flours with salt and baking powder. In another bowl, heavily whisk the sugar with oil. Add water and vinegar to the sugar and oil mixture and whisk well. Fill the muffin tins with muffin papers. When the oven is hot, mix the dry ingredients with wet ingredients. Fold in the raspberries. Fill the muffin papers with muffin batter. 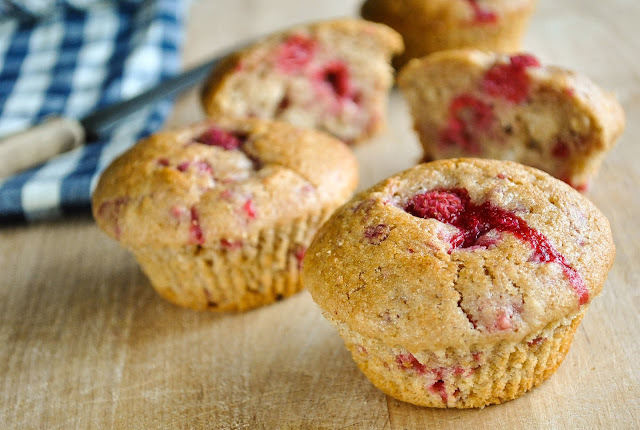 Put a raspberry onto each muffin. Bake for 25 minutes. Let them cool a little bit before eating.